The world’s second largest miner, Rio Tinto, (ASX, LON:RIO) is said to be preparing an offer for a minority stake in Teck Resources’ (TSX:TECK.A | TECK.B)(NYSE:TCK) Quebrada Blanca copper mine in northern Chile. Canada’s largest diversified miner, which in August received regulatory approval for a $4.8 billion extension of the mine, has been looking for a development partner that could invest $2 billion for up to 30% to 40% stake in the project. Japanese-trading Mitsubishi and Sumitomo have been singled out in the past as potential bidders. Other companies that could submit an offer for a stake in the project are Freeport-McMoRan (NYSE: FCX), the world’s largest publicly-traded copper company, China’s state-owned Aluminum Corp. of China (Chinalco), and Canada’s base metals miner Lundin Mining (TSX:LUG), which recently abandoned its quest for fellow miner Nevsun (TSX, NYSEMKT:NSU). Teck, Canada’s largest diversified miner, has been looking for a development partner for the $4.8 billion extension of Quebrada Blanca copper mine. Copper, one of four business units at Teck besides steelmaking, coal, oil and zinc, is considered a company priority. The Canadian miner is not alone on the quest for copper assets, a metal the industry sees as having one of the strongest outlooks. There are expectations that the electric-vehicle boom and demand for renewable energy will increase need for the metal. The expected deficit will partly be a consequence of increasing demand for power generation and electric vehicles (there’s 300kg of copper in an electric bus and nine tonnes per windfarm megawatt). 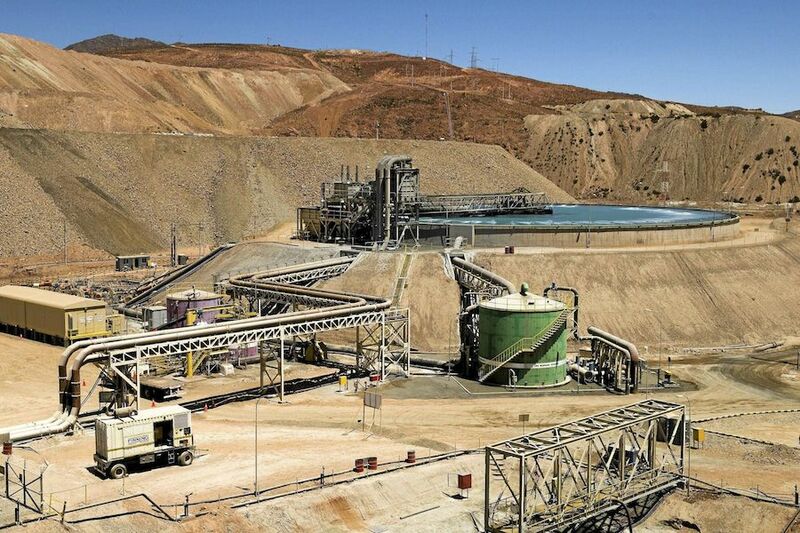 Last year, Quebrada Blanca produced 23,400 tonnes of copper, generating a $182 million revenue. Teck owns 90% of the mine and Chile’s national mining company ENAMI holds a 10% preference share interest in it, which does not require the state agency to fund capital spending.